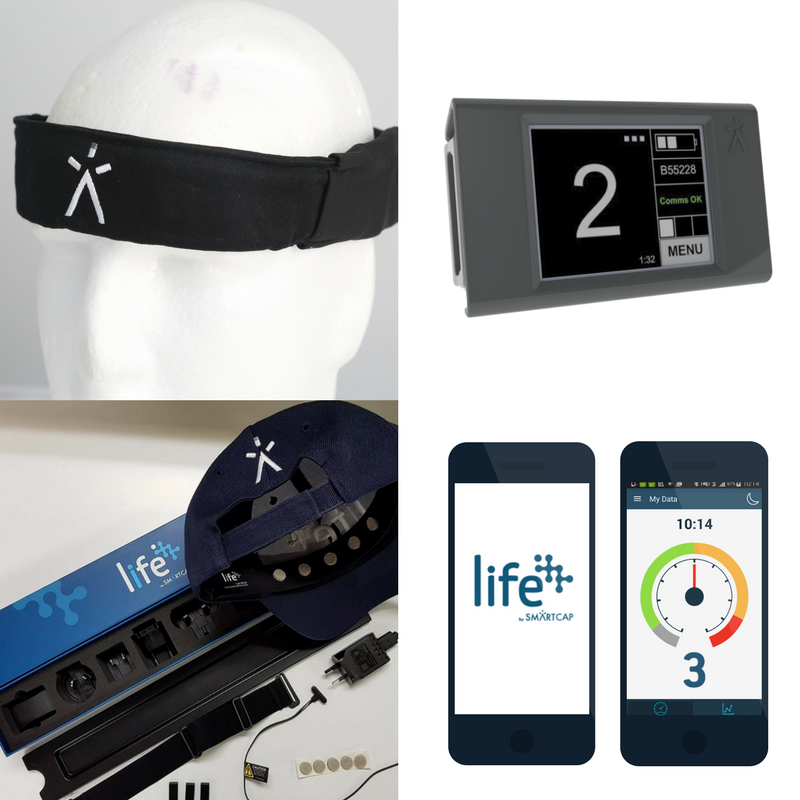 SmartCap’s patented EEG sensors and independently validated algorithm remains at the heart of their latest innovation, but the Life product suite boasts an array of new features that opens up a range of new applications. The first generation product the SmartCap (Top) and SmartCap Technologies latest innovation Life by SmartCap (Bottom). The wearable LifeBand can be inserted into any type of headwear including hardhats, beanies, and caps. SmartCap’s legacy of providing in-vehicle early warning alerts are now accompanied by a Smartphone application that receives the information from the LifeBand wearable in real-time, via Bluetooth. For the first time, workers can monitor their alertness anywhere, anytime. The Life App also provides the user with personal reports and progress tracking to support wellness initiatives. SmartCap’s innovators were passionate about crafting a piece of technology that would further empower users to manage their own fatigue and give companies the broadest spectrum of data possible. Management can now use LifeHub, SmartCap’s cloud-hosted analytics suite to observe company-wide holistic trends and use real data to complement their approach to managing risk. The LifeBand is more comfortable than the first-generation SmartCap product and has an inbuilt battery that lasts 7x longer. SmartCap Technologies Chief Technology Officer and the inventor of the unique SmartCap algorithm Dr. Daniel Bongers believes that Life is a huge step forward. “Life really takes our core technology to a whole new level.” Dr. Bongers said. Further information about Life by SmartCap can be found here.